(a) While raising the No. 2 chain tensioner assembly, insert a pin of 1.0 mm (0.0394 in.) diameter into the hole to hold the No. 2 chain tensioner assembly. 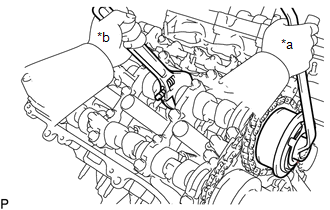 (b) Using a wrench to hold the hexagonal portion of each camshaft, loosen the camshaft timing gear bolts of the camshaft timing gear assembly and the camshaft timing exhaust gear assembly RH. Be careful not to damage the cylinder head with the wrench. Do not loosen the other bolts. If any of the bolts is loosened, replace the camshaft timing gear assembly and/or the camshaft timing exhaust gear assembly with a new one. 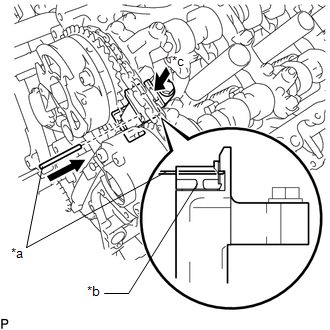 (c) Remove the 2 bolts and the camshaft timing gear assembly together with the No. 2 chain. (a) Remove the bolt and No. 2 chain tensioner assembly. 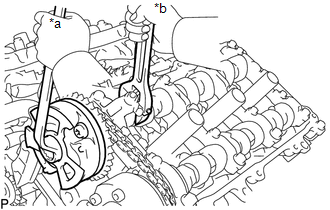 (a) Check that the camshafts are positioned as shown in the illustration. 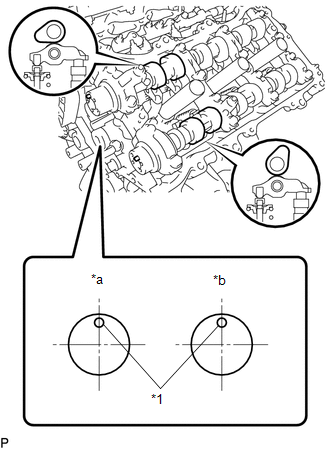 (b) Uniformly loosen and remove the 9 bearing cap bolts in several steps and in the sequence shown in the illustration. 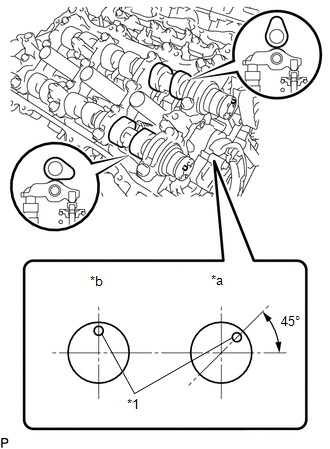 (c) Uniformly loosen and remove the 15 bearing cap bolts in several steps and in the sequence shown in the illustration. 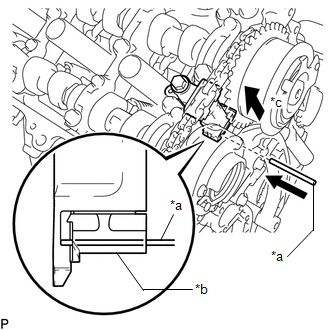 Uniformly loosen the bolts while keeping the camshaft level. (a) Remove the fuel pump lifter housing. 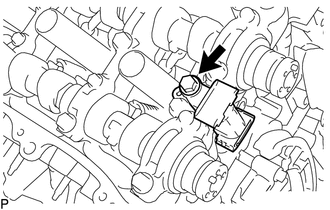 (a) Remove the camshaft housing RH by prying between the cylinder head and camshaft housing RH with a screwdriver. 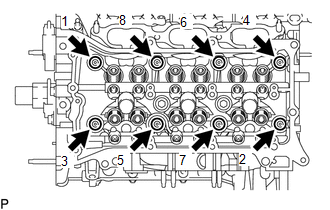 Be careful not to damage the contact surfaces of the cylinder head and camshaft housing RH. (a) While pushing down the No. 3 chain tensioner assembly, insert a pin of 1.0 mm (0.0394 in.) diameter into the hole to hold the No. 3 chain tensioner assembly. 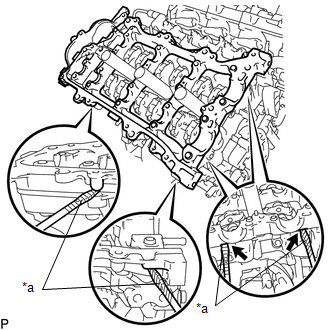 (b) Using a wrench to hold the hexagonal portion of each camshaft, loosen the camshaft timing gear bolts of the camshaft timing gear assembly and the camshaft timing exhaust gear assembly LH. 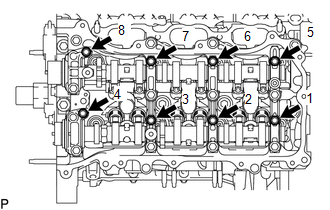 (c) Remove the 2 bolts and the camshaft timing gear together with the No. 2 chain. (a) Remove the bolt and No. 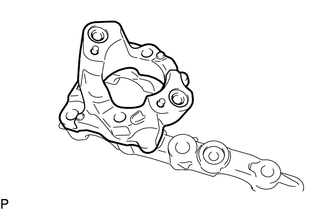 3 chain tensioner assembly. 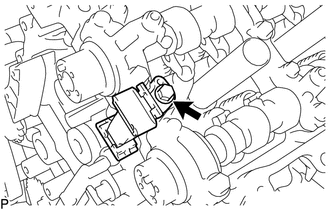 (b) Uniformly loosen and remove the 8 bearing cap bolts in several steps and in the sequence shown in the illustration. 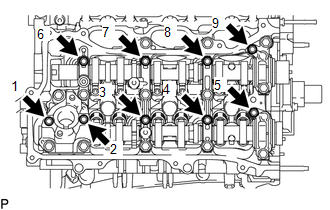 (c) Uniformly loosen and remove the 13 bearing cap bolts in several steps and in the sequence shown in the illustration. (d) Remove the 5 camshaft bearing caps. 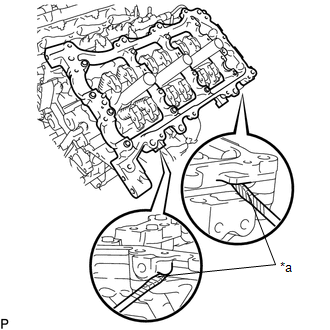 (a) Remove the camshaft housing LH by prying between the cylinder head LH and camshaft housing LH with a screwdriver. 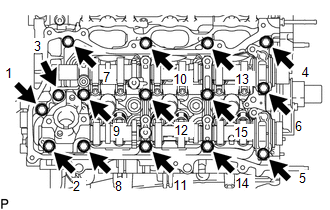 Be careful not to damage the contact surfaces of the cylinder head and camshaft housing LH. (a) Remove the 24 No. 1 valve rocker arms. 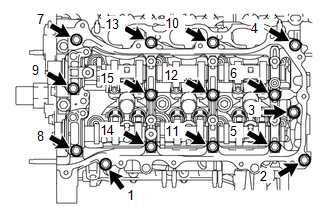 (a) Remove the 24 valve lash adjusters from the cylinder head. (a) Remove the 24 valve stem caps. (a) Using a 10 mm bi-hexagon wrench, uniformly loosen the 8 bolts in the sequence shown in the illustration. Remove the 8 cylinder head bolts and plate washers. 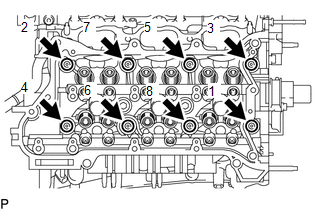 Cylinder head warpage or cracking could result from removing bolts in an incorrect order. Be sure to keep separate the removed parts for each installation position. (a) Uniformly loosen and remove the 2 bolts in the sequence shown in the illustration. (b) Using a 10 mm bi-hexagon wrench, uniformly loosen the 8 bolts in the sequence shown in the illustration. Remove the 8 cylinder head bolts and plate washers. 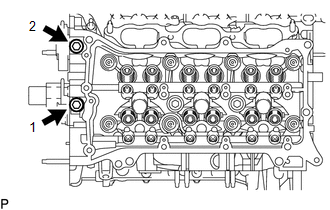 (c) Remove the cylinder head LH.